Protecting your business from cybercrime and scams. Target. Home Depot. UPS. JP Morgan Chase. They’ve all made the headlines lately–and not in a good way. They’ve been hacked! And confidential information was compromised. And it’s one that has many small business owners wondering how safe their information and money really are. RIGOROUS CONTROLS Cybercriminals have many avenues for attack, and banks are fighting back. Financial institutions began putting more rigorous controls in place several years ago when a rash of bank account takeovers took place, with business accounts as the primary target. “If the bank has the proper controls in place, essentially it’s made it tougher for business accounts to be compromised,” says Clyde Hague, CISM, CISSP, information security office and assistant vice president for First Merchants Bank. One such control is out-of-band authentication. In addition to supplying an ID and password when conducting a business transaction, business clients must enter a special code that is sent over another “band,” such as a cell phone, before the transaction is approved. It works because the hacker won’t have that last piece of information needed to finalize the transaction. Financial institutions may also issue tokens, a hardware device that can be carried on a keychain, to business customers. The password on the device changes frequently to make hacking more difficult. 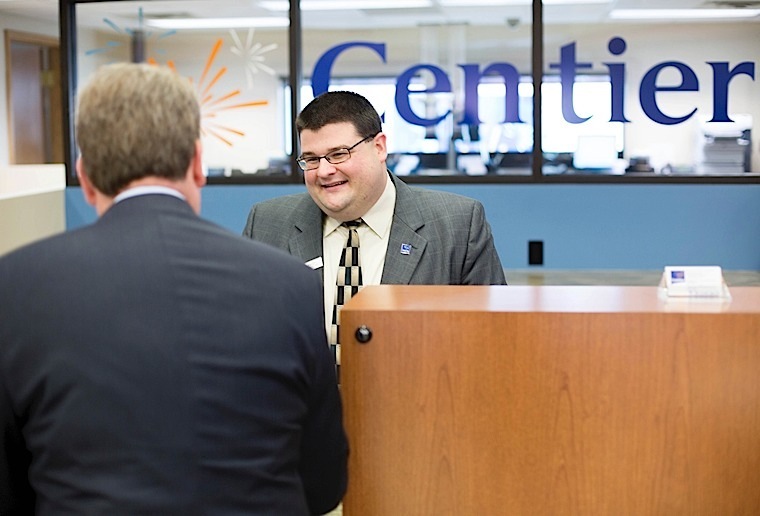 EXTRA PROTECTION Centier Bank can give business customers a “token” that provides changing passwords to foil hackers. “If customers are doing riskier transactions such as a wire transfer or ACH transaction, they’ll have an added layer of protection with a token,” says Bob Buhle, senior partner, Centier Bank, a family-owned bank serving Northwest Indiana. Behavioral analytics is instrumental in helping banks better protect customers by understanding how they use their accounts. 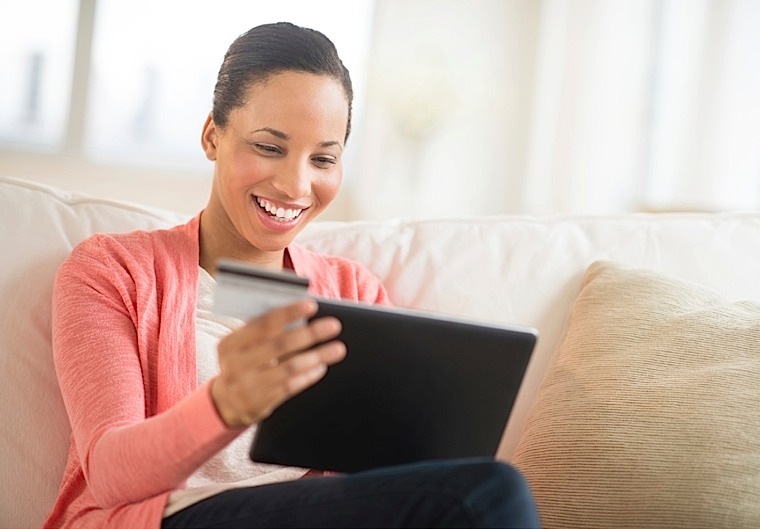 When does a customer typically do their banking? What are their normal deposit and withdrawal amounts? To whom do they normally transfer money? “All those things over time create a unique fingerprint or profile for each of our clients that the system constantly evaluates against the activity that is occurring in real time,” says Chris Hart, operational risk director at First Financial Bank Cincinnati headquarters. Deviations from the historical behavioral pattern raise a flag that may stop the transaction until it can be identified as being legitimate. Many financial institutions require customers to register their computers so their systems will recognize them. Accessing your online banking account from a different machine raises the risk level. Hart encourages customers to take advantage of alerting capabilities, especially when it comes to online banking. Customers can receive a variety of alerts ranging from anytime someone successfully logs into the account, to anytime there’s a transaction out of the account, or anytime there’s a bad password entered to the account. “We highly recommend that our clients go through those alert messages and select the ones that make the most sense for them,” he says. This checks and balances system typically requires two people to originate payments. But if the bookkeeper is the only person in a small business that performs payroll, the bookkeeper will establish the payroll information (employees’ account numbers, etc.) and then the bank will lock the information down. The bookkeeper can originate payroll to employee accounts, but is not authorized to change account numbers or add additional employees without going outside the system to do so. In the event the payroll computer is compromised, hackers won’t be able to create bogus accounts or add additional employees. The banking industry is a highly regulated industry that has many controls in place to keep customer accounts secure. But the retail industry isn’t as highly regulated. The PCI Security Standards Council, founded in 2006, issues guidelines for Payment Card Industry compliance in an effort to protect customers, which is a good starting point, but today it still isn’t a robust system. Meanwhile, credit card fraud is running rampant. One tool financial institutions use to protect customers from breaches and credit card fraud is a monitoring service. These services access reports on breaches from MasterCard and other organizations to identify cards that may have been compromised. Banks provide education on how business customers can protect themselves from breaches of confidential information in the form of fact sheets, email alerts, and even actual face-to-face training. But banks can only do so much. Businesses have to do their part as well. Businesses need to implement protective measures–firewalls, anti-virus and spyware detection, timely installation of software and hardware patches and other system measures–but one of the most important and effective measures they can take is to educate employees about the risks, how to recognize them and what to do if they suspect a computer or information has been compromised. “People are historically the first line of defense,” Buerger says. “The more knowledgeable they are, the less likely something is going to happen. Training can be very helpful in combating phishing emails asking recipients to enter sensitive data, open an attachment or click on an embedded link. Another way cybercriminals gain control of a computer is through contaminated Internet links on trending topics accessed through Google or other search engines. Click on a contaminated link, and your computer is compromised by malware or a virus. If your computer is networked, it’s possible the other computers in your business are as well. The best policy is to only visit websites you are familiar with or know that they are legitimate. Essentially it comes down to the basics: Use complex passwords. Use unique passwords for online banking. Change all passwords routinely. Download information from only trusted websites. Don’t immediately react to threatening emails–we’re going to shut down your account if you don’t provide this information–or other requests that require your information or interaction. And when installing wifi, be sure to change the default passwords. Smiddy-Schlagel has heard too many stories about businesses that ran all their systems off wifi without changing the default password. “You’re basically opening all the doors and windows and letting everyone come in,” she says. Some businesses may try to protect themselves by not doing their banking online. But waiting for statements to be mailed to them on a monthly basis isn’t such a good idea. Caution and vigilance go hand-in-hand with enjoying the convenience the latest technology provides. Cybercrime is an issue we’ll have to live with, and the key for combating it is to be informed and prepared.